Owning a car isn’t always a walk in the park. Some days, your rod serves you really well. Then there are days when you have to deal with problems that may or may not be within your capability’s reach. Whether you’re a first-time car owner or a seasoned car guy, it’s important to address these issues right away by way of prevention. One of the most common car troubles that plague drivers is a blown head gasket. Those three words can ignite an incredible sense of frustration, helplessness and anxiety. Not to mention cost you thousands and thousands of dollars should it happen. Sure, the gasket is not exactly expensive but it’s the labor of dismantling everything that can break the bank. Even if you’re used to car repairs, that’s still a lot of grease and wasted hours to deal with. But what exactly is a blown head gasket? Well, first things first. Let’s identify what it is you’re looking at. The head gasket resides between the cylinder head and engine block. It’s designed to contain pressure and to keep all three liquids in your engine separate. It’s also meant to keep the head and block apart so they can be individually repaired or replaced. 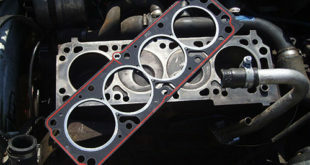 Head gaskets are made to withstand intense amount of pressure and temperature. However, fluctuations, such as a blown head gasket occur when it can no longer handle such intensity. There are a lot of ways you can get a blown out gasket. The trick is to know how you can avoid them. There are two primary ways you can prevent a blown head gasket. First is to identify the causes and second, to properly install the head gasket. Let’s take a look at some of the causes of a blown head gasket so you can avoid them as early as possible. Save yourself the cost of labor and the tedious DIY that goes with repairing a blown head gasket. Here are its major causes you need to watch out for. This is arguably the most common cause of blowing out your head gasket. This happens when the armor that surrounds your cylinders are crushed. 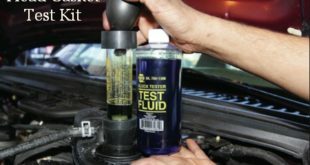 It then causes a loss of compression on your engine as well as a leak in your coolant. The next few seconds will consist of a white smoke coming out of your engine and a loud bang that can just be translated to a mournful goodbye. Remember that overheating can be caused by various factors. 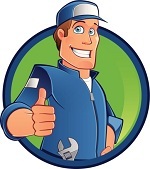 It could be a leak in your coolant, radiator or pump. Whichever it is, it’s essential you look for the source and repair it. Older cars are more prone to blown head gaskets because their engines are more likely to have what we refer to as “hot spots”. These areas are found somewhere between the cylinder head and the central cylinders. A modern solution to hot spots is that today’s cars come with reinforced engines to prevent the gasket from blowing out. If you have an old car, you may want to get that checked out and reinforced immediately. This is like a snake eating itself when it decides to malfunction. A pre-ignition problem is often found among cars that are just used for inner city driving. What happens is the fuel is combusted at a wrong time, sending off large amounts of pressure into the cylinder head and leaves the engine battling against itself. If this keeps happening, carbon deposits will increase and we’re pretty sure you already have an idea of what’s about to happen next. It will be problematic in the future if you’re already working with a bad head gasket to begin with. If you’re not much of a car freak, it’s worth looking up the story of the K-Series that while lightweight, only pose as little as 40,000 miles into an engine’s life. It’s still best to do your research and ask a professional’s advice. 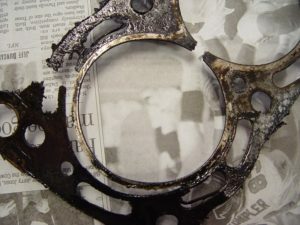 No matter how much you try to prevent it, it may be unavoidable if you have a poor gasket. Finally, a poor installation of your gasket can and will lead it to blowing up. If you have zero knowledge and experience in installing one, don’t even think about pulling off a DIY. Speaking of installation, let’s take a look at the second way to prevent blown head gaskets. If a torn engine isn’t something you’re looking forward to anytime soon, then it’s best to learn how to properly install a head gasket. Of course, it goes without saying not to use damaged bolts. However, re-using bolts is just as bad, since these TIY bolts are meant to stretch slightly when installed. 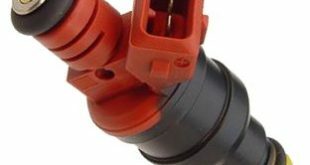 Once you decide to use it again, it won’t have the same clamping force and stability they had when they were first installed. Your best bet is to purchase new ones, and a good fit at that. Leaks are another common sign of blown head gaskets. The good news is various gasket sealants exist for a quick and effective DIY solution see our home page. However, it’s not enough that you have the best sealer around. The key is to know how to properly apply them. For example, coated gaskets and chemical sealers don’t go hand in hand. Another is RTV silicone will interfere with the chemicals already put on your gasket beforehand to aid in sealing. Often, we’re too engrossed with the bigger things that we forget to look at the tiniest details. In this case, we’re talking about simple surface flaws that many car owners often overlook. Check for corrosion, cracks or low spots. These problems, however small, can potentially build up and contribute to your engine giving up too soon. Apart from inspecting for minor flaws, thoroughly cleaning your desk surface is also essential in installing the head gasket correctly. If you end up leaving any remnants from your old gasket, it’s bound to affect how your sealant works. Torque has a lot to do with preventing blown up gaskets. You shouldn’t only use the correct torque wrench but also, follow pattern and specifications. Always remember the three-step rule when tightening head bolts. A blown head gasket is grueling and expensive to deal with. That’s why keep these tips in mind if you don’t want to end up spending a lot or leaving your car to rot in your garage.